Langtang region, close the the Tibetan border, is a very nice and preserved area. If offers either easy or challenging possibilities for trekkers. We have designed flexible itineraries to address your time and budget needs. 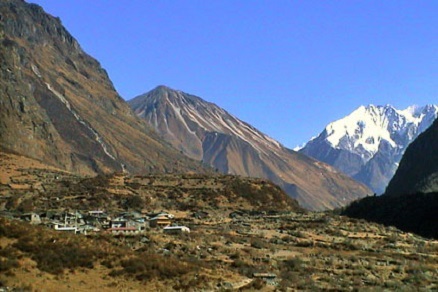 Langtang region is situated at the North of Kathmandu. It is a protected area thanks to the Langtang National Park which was established in 1976 as the first Himalayan National Park. Langtang is a narrow valley, the northern and eastern border of the national park coincide with the international border to Tibet. The western boundary follows the rivers Bhote Kosi and Trisuli. 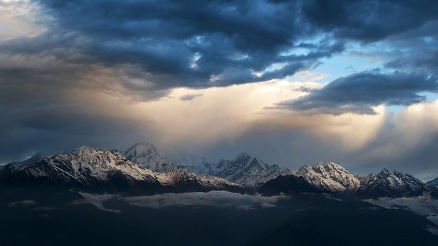 The southern border lies 32 km north of the Kathmandu Valley and it includes slightly lower range of snowy peaks. 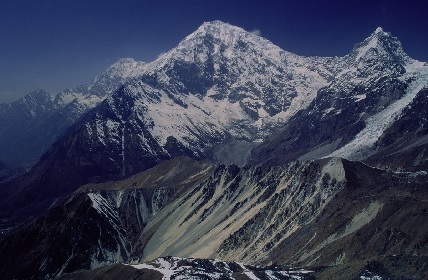 Langtang lirung (7246 m) dominates the valley to the north. 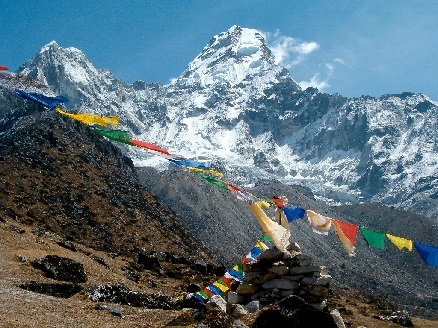 Gang chhenpo (6388 m) and the trekking peak of Naya Khangri (5846 m) lie to the south. Dorje Lakpa (6966 m) protects the east of the valley and the gateway to the viewpoint Kyanjing Ki, Langtang Lirung basecamp and Tsergo Ri for a spectacular day hiking. 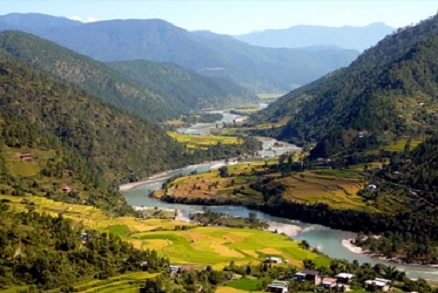 Langtang is bounded by two great rivers, the Langtang River in the side of Langtang valley and the Melamchi River in the Helambu side. 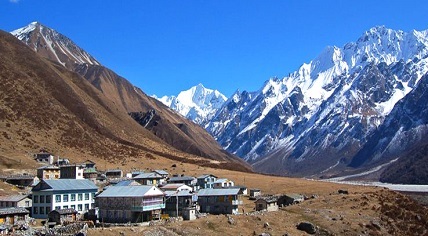 Langtang is the most easily accessible mountain destination from the capital. The most attractive areas of the park include the langtang valley, the holy lake at the Gosainkunda and Kyanjing valley. The park contains a wide variety of climatic zones, from subtropical to alpine, and 25% of the park is forested by Oaks, Maples, Pines and Rhododendron. The complex topography and geology together with the varied climatic patterns have enabled a wide spectrum of vegetation types. 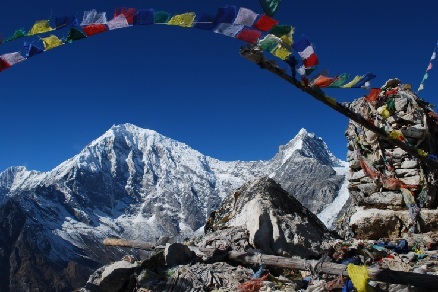 Langtang is a very rich national park for religious culture and ethnics culturally. The majority of the residents are Tamang, an ancient Nepalese race. They are traditionally farmers and cattle breeders are especially well known for their weaving. Their religion is related to the primer Buddhist doctrines of Tibet. It includes also some influence from Shamanism and Hinduism. The Gosainkunda lakes are sacred to Hindus and pilgrimages are made there in August. 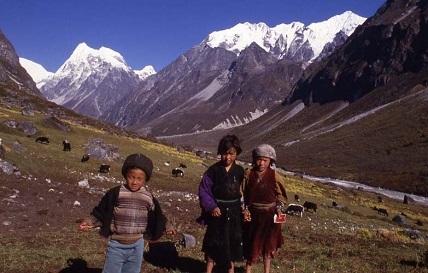 The region is also populated by few Sherpas, Hyolmos and Brahmins. Amazing adventurous trekking in Langtang region combines the diversity of spectacular views of Himalayas with a vast number of exciting cultural and ethnic encounters. There are two gateways to enter the Langtang trekking region, one entrance point is Syabrubesi and the other is Sundarijal. 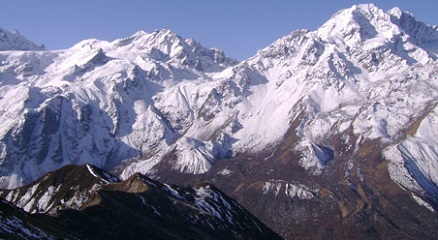 Main trekking are Langtang circuit, Langtang valley, Tamang Heritage, Langtang-Helambu-Gosainkunda, Helambu, Ganja La pass. 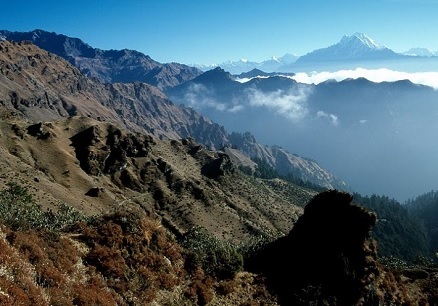 For the Langtang-Helambu circuit, you should count around 13 days. Day 1: Kathmandu to Syabrubesi by bus (7 hrs) ; Day 2: Syabrubesi to Lama hotel ; Day 3: Lama Hotel to Langtang village ; Day 4: Langtang village to Kyangjin Gompa ; Day 5: acclimatization day and side trek around ; Day 6: Kyangjin Gompa to Lama Hotel ; Day 7: Lama hotel to Thulo Syabru ; Day 8: Thulo Syabru to Sing Gompa ; Day 9: Sing Gompa to Gosainkunda ; Day 10: Gosainkunda to Ghopt by crossing Lauribina pass ; Day 11: Ghopte to Kutumsang ; Day 12: Kutumsang to Chisopani ; Day 13: Chisopani to Sundari and back to Kathmandu. For the Langtang valley circuit, you should count around 8 days. Day 1 to Day 6: same as the Langtang-Helambu circuit ; Day 7: Lama hotel to Syabrubesi ; Day 8: Saybrubesi to Kathmadu by bus (7 hrs). For the Gosainkunda circuit, you should count around 8 days. Day 1: Kathmandu to Dhunche buzzar by bus (6 hrs) ; Day 2: Dhunche bazzar to Shing gompa ; Day 3: Sing Gompa to Gosainkunda ; Day 4: rest day and nice side trekking around this beautiful place ; Day 5: Gosainkunda to Shing gompa ; Day 6: Shing gompa to Dhunche buzzar ; Day 7: Dhunche buzzar to Kathmandu by bus (6 hrs). Ganja la pass trekking (7 days) starts from Sybru Bensi and ends at Melamchi Pul Bazar. From Kyangjin Gompa, there is 5 hours to go to the Ngegang Kharka camping site, the the second day is from Ngegang Kharka trek to Ganjala Phedi via Ganja La Pass at 5132 m, another camping site then 5 other days to go back to Kathmandu. Day 1: Kathmandu to Syabrubesi 1610 m by Bus (7 hrs). Day 2: Syabrubesi to Gatlag 2238 m (5-6 hrs). Day 3: Gatlag to Tatopani 2607 m (4-5 hrs). Day 4: Tatopani to Nathali 3165 m (2-3 hrs). Day 5: rest day at Nathali and visit around. Day 6: Nathali to Thuman 2338 m (3-4 hrs). Day 7: Thuman to Syabrubesi 1610 m (3-4 hrs). Day 8: Syabrubesi to Kathmandu by bus (7 hrs). The main difficulty is the high pass out of Langtang, Ganja La at 5132 m, which can be negotiated only by well prepared hikers with guide and porters for food and camping equipment. 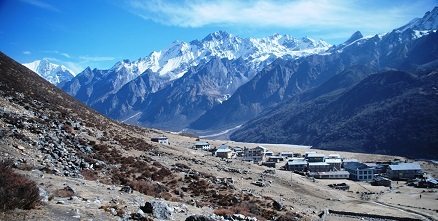 The entrance of the Langtang National park is subject to a fee. 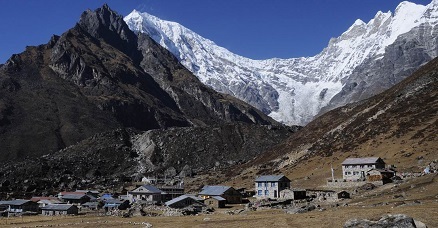 The best periods for trekking in Langtang are Spring and Autumn.